After getting married in 2007 me and my husband just couldn't decide where to go on our honeymoon. All we knew is that we wanted to go somewhere exotic where they have beautiful beaches and nice hotels. Somewhere we can relax and enjoy our lives together as newlyweds. So we went to the travel agency and looked through the catalog when some girl working there happened to mention Punta Cana . She has just returned from this trip and you could see it in her eyes she was really enthusiastic just talking about it. That made me listen to her even more. We had no idea where Punta Cana was but it sounded really good. Of course we knew it was somewhere in the Caribbean and that it would take us 10 hours to get there, but where? The answer was, we're going to the Dominican Republic. Just flying so far away was exciting enough but to be in all inclusive resort that's something we have never tried before. We didn't think twice when we booked this trip. Our parents were saying we were crazy for going this far but we couldn't care less. This was something new to us, something we wanted to explore on our own. It took us 4 hours by car to get to the airport and 10 more hours by plane. Finally when we arrived in Punta Cana we were not exhausted at all with all the adrenaline we were feeling. We couldn't wait to come to the hotel and go to the beach.When we saw the astonishing turquoise Caribbean sea, we were amazed. Water was so clean and the beach was spectacular. No wonder beaches here are named as one of the most beautiful beaches in the world. And what about resorts? Many of them located in Punta Cana include a large number of new resorts which includes spas, casinos, an amazing selection of dining options, on-site weddings, kids' clubs, swimming pools and their own resort activites. 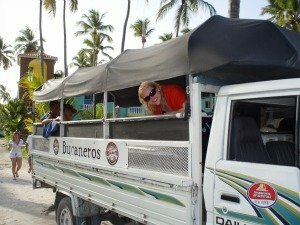 Follow me at www.puntacana-resorts.net as I'll try to help you find a perfect resort and a perfect vacation for you.